Are Medicare Rebates Available for Speech Pathology? YES. Some children may qualify for an Enhanced Primary Care Plan (EPC), which may also be known as a Chronic Disease Management Plan (CDMP). This plan allows your child to access up to 5 rebated sessions per calendar year. Who is eligible for an EPC/CDMP? According to the Department of Health, children need to have a chronic condition that has been (or is likely to be) present for 6 months or longer and requires a multidisciplinary, team-based care from a GP and at least two other health or care providers. This can include a team with, for example, a Speech Pathologist and Audiologist (see here how you can book a hearing test for your child at our clinic), a Speech Pathologist and Occupational Therapist, or a Speech Pathologist and Psychologist. Children with learning difficulties and motor or developmental delays are often eligible for an EPC/CDMP. How do I access the EPC/CDMP? Your GP is the person who writes up the plan and provides the paperwork. You will need to make an appointment for your child to see the GP and tell them your child needs to or is already seeing a Speech Pathologist and what other Allied Health Professional you are seeing. 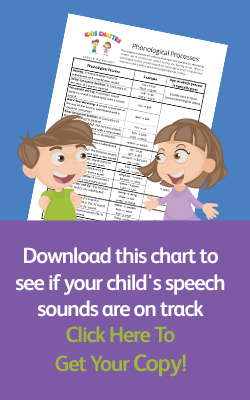 If you are seeing a Speech Pathologist at Kids Chatter Speech Pathology, ensure you tell your GP to put “Kids Chatter Speech Pathology” under the name of the Allied Health Professional and our address 4/37 Station Road, Indooroopilly QLD 4068. I have the paperwork – How does the EPC/CDMP work? If you are existing client at Kids Chatter, once you have the paperwork, email a copy to us at info@kidschatter.com.au or bring it with you to your next appointment. If you are new and don’t have an appointment yet, get in touch with us to book an assessment for your child and you can bring the paperwork to your first appointment or email it to us beforehand. You attend an assessment or therapy session as normal and pay the normal fee. We will then issue you with a receipt that has the required Medicare details on it for you to make a claim with Medicare. An EPC/CDMP provides up to 5 rebated sessions per calendar year. The current rebate as at August 2015, is $52.95. The easiest way to claim your Medicare rebate is to use the Medicare Express Plus App, available on the App Store and Google Play Store. Please note that this does NOT give you free speech pathology sessions. This is a rebated service through Medicare. We do not bulk bill at our clinic. You can find more information on the Medicare website.